Abstract: Updated with NANDA-I 2012-2014 Diagnoses. 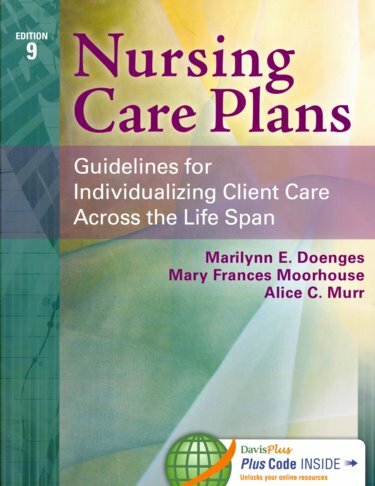 This all-in-one care planning resource provides the step-by-step guidance you need to develop individualized plans of care, while also honing your critical thinking and analytical skills. Thoroughly updated and revised throughout, 167 care plans reflect the latest NANDA-I diagnoses and terminology. You'll also now find an expanded emphasis on evidence-based practice through citations that support the incidence of the problem, the validity of the diagnostic tests, and the recommended nursing interventions. The Plus Code, inside new, printed texts, unlocks a wealth of Premium learning resources online at DavisPlus, including your Davis Digital Version, your complete text online. 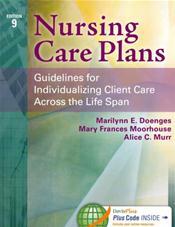 You'll also have access to all of the care plans in the book as well as additional care plans. Use the Online Disorder Lookup to easily search through 800 disorders to select the most appropriate diagnoses for your client.